There’s no better place to make a very real difference in people’s lives than at Canterbury-on-the-Lake. Responsibilities: Caring for residents in the Pavilion. Responsibilities: Housekeeping /laundry duties for all areas of the community. This position will fill in for vacancies, call ins, hours as needed. Part time various shifts 20 - 24 hours a week. Responsibilities: Caring for residents in the Leas – experience with medication reminders preferred. Pay: Based on years of experience. Responsibilities: Nursing duties in the Pavilion. Status/Hours: Non-union, non-exempt. Hours to be determined. Can be a full time nurse and a part time nurse who work every other weekend, or could be two nurses who job share to provide coverage 3-4 days/week. Responsibilities: Caring for residents in the The Meadows – charting, oversight of medication administration, care coordination, staff training and direction related to medical needs, participation in evaluation of residents for admission, coordination of care with ancillary services, working with physicians on resident issues. This position participates in rotating on call for after hour needs. 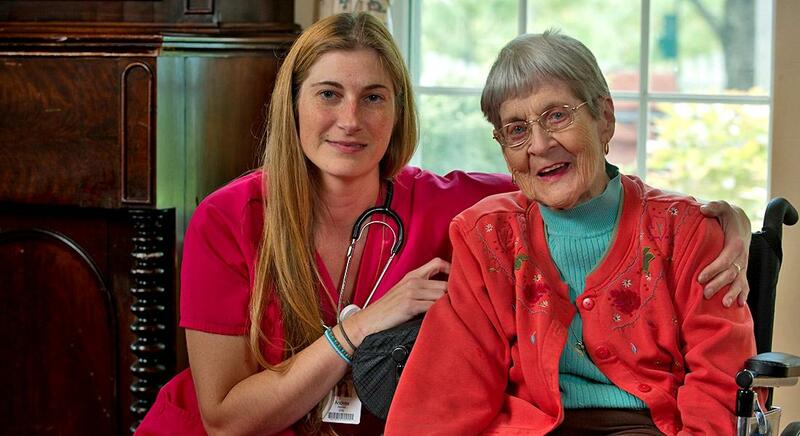 RN preferred, LPN considered – experience working specifically with dementia population preferred. Supervisory/leadership experience also desirable. Position expected to begin in November, but will start training soon. Apply To: See Ronda Pype or Christie Petiprin for more information. Responsibilities: inistraFloor care, trash removal and general maintenance around the community - responding to work orders, set up/tear down assistance with events. Some outdoor work required. Ability to work independently, strong communication skills and enjoyment of working with the elderly. Responsibilities: General maintenance around the community - responding to work orders, completing preventative maintenance, set up/tear down assistance with events. Repairs throughout the community. General knowledge of electrical, plumbing, carpentry, HVAC is preferred. Some outdoor work is required. Ability to work independently, strong communication skills and enjoyment of working with the elderly. Responsibilities: Universal caregivers for residents in The Meadows. Caregivers will assist residents with dementia and Alzhimer's with all aspects of daily living: bathing, toileting, dressing, eating, medication, light housework and activities. Responsibilities: We are seeking coverage in the Wellness Clinic to cover a leave from August-November of this year. Responsibilities include wellness/clinical tasks with Southminster and Leas residents including blood pressure checks, glucose checks, questions regarding medication, communication with labs/pharmacies/families/residents/physicians/staff, audits, clerical support for clinic including phone work, faxing, copying and filing. Ideal candidate is someone who has medical assistant training, experience working with the elderly in a similar setting, who is detail oriented, hospitality minded, flexible and able to work in a fast-paced environment. This is a great chance to learn some new skills in a temp role. Part time days and afternoons. Full time on afternoon shift. Pay: $14.25/hr-$15.75/hr to start depending on experience and shift. Apply To: Leigh Warner, Staffing Coordinator – external candidates. Responsibilities: Universal caregivers for residents in The Meadows. Caregivers will assist residents with dementia and Alzheimer's with all aspects of daily living: bathing, toileting, dressing, eating, medication, light housework and activities. Responsibilities: Caregiver to residents in the Leas including ADL care, medications, showers. Experience in a similar role is preferred. Responsibilities: Housekeeping/laundry duties for all areas of the community. This position will fill in for vacations, call ins, hours as needed. Responsibilities: Scheduling for charge nurses and CENAs in the Pavilion. Enter sick/vacation days in time tracking system and correct missed punches. Must work every other week for payroll purposes. (Vacations must be scheduled on non-payroll weeks.) Must have significant experience working with Microsoft products including Outlook, Excel and Word. Must have experience scheduling large groups of people. Must have ability to manage multiple priorities, be flexible and able to adapt to quick changing situations. Excellent written and verbal communication skills in addition to strong organization and time management skills. Responsibilities: We are seeking someone to cover for a leave of absence in the Medical Records department. We are willing to train someone who has the desire to learn this valuable skill. Person must have computer skills, be organized and able to manage time well, able to use office equipment and respond to requests for information in a timely manner. We would like to identify and begin cross training for this role in September, and anticipate the coverage to be November-January or February of 2019. Status/Hours: Non-union, exempt. Full time, Monday-Friday but must have availability to work with staff on afternoon/midnights shifts. Rotates taking clinical call. Status/Hours: Non-union, non-exempt. 20-24 hours/week, mostly day shift but must have occasional availability for evening/weekend programs. Responsibilities: Responsible for preparing and leading programs with residents in the pavilion. Sets up for the program, assists residents to and from the program, prep work for future activities and documentation of resident participation. Helps plan special events/parties. Status/Hours: Non-union, exempt. Full time, Monday-Friday but must have availability to work flexible shifts in order to be available as needs arise. Responsibilities: This position leads the Life Enrichment department in the Pavilion. Responsible for the vision, planning and execution of programs to enhance the lives of our residents. Leads the staff in the life enrichment department. Oversight of documentation and regulatory compliance. Desired skills/experience: Prefer RN; will consider LPN in the State of Michigan. 2-4 years experience in a leadership role setting preferred; knowledge of SNF/LTC regulations; excellent organizational and time management skills; strong communication skills; ability to train and provide performance feedback in a positive and nurturing way. Excellent hospitality skills, follow through and someone who takes initiative. Status/Hours: Non-union, non-exempt. Part time,16-32 hours week, mostly afternoon and midnight shifts. Includes some weekends and holidays. Canterbury on the Lake Hiring Event! Offers on the Spot! Snacks and refreshments provided! The entire interview process will last about 30 min. Completing our online application prior to the event is strongly encouraged and will speed up the process. Please bring 2 forms of ID, your resume, and applicants are encouraged to complete an online application in advance of the event under the career section on our website. with you to the event. Dress code is Scrubs or business casual. Please come to the main entrance that faces Hatchery Road. Canterbury-on-the-Lake is a senior living community unlike any other. It is also a non-for-profit organization, which means profits are reinvested back intot he community and are used to benefit residetns. We also have a longstanding commitment to serve people in need. We offer every senior living option under one roof: Independent Living, Assisted Living, Memory Care and Skilled Nursing. Our staff is an important part of the Canterbury family. We offer a rewarding work experience where you can go home feeling good about the work you do each day. We have many people who have been with us since we opened our doors 25 years ago. We enjoy what we do and always strive to work together as a team. If you are someone seeking a rewarding and challenging work experience with room to grow and achieve your goals, consider joining our team!